BRUMFIEL/NPR: But Schiller says it's not a very good missile engine. It's an old design from the Soviet Union, picked up by the North Koreans and later transferred to Iran. It's clunky and inefficient. To get even a small payload into space requires the rocket to be huge. It takes weeks to set up. Question: What actual engine are they talking about, and in what way is it "not a very good missile engine"? Why would this engine require "the rocket to be huge"? Organic Marble has identified it as the S5.2/9D21. in what way is it "not a very good missile engine"? It uses a propellant combination, kerosene/IRFNA, common for military missiles in the 1950s-1960s, but now considered obsolete, which yields a poor specific impulse (233 seconds at sea level, or effective exhaust velocity of 2285 m/s). Why would this engine require "the rocket to be huge"? shows that the mass of a rocket is proportional to the exponential of (delta-v divided by effective exhaust velocity). Small changes in the exhaust velocity can yield large changes in mass. 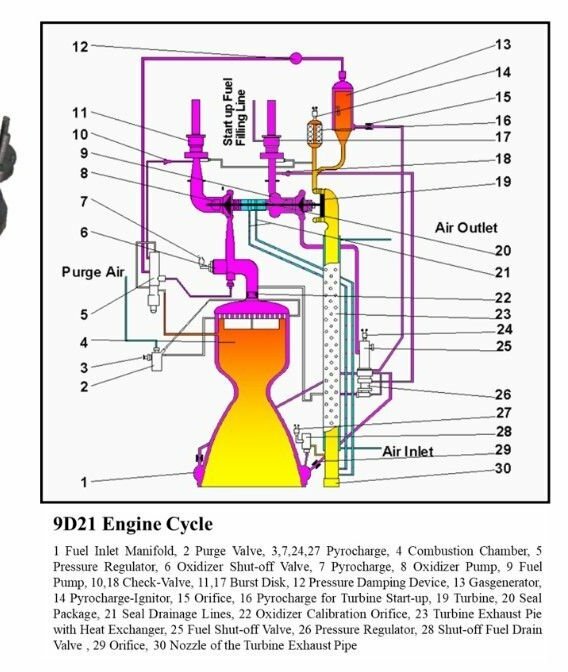 Assuming ~9400 m/s delta-v required to reach orbit, a 233 second engine requires an initial-mass-to-final-mass ratio of around 60; a good modern kerosene/LOX engine like the RD-180 of Atlas V has a specific impulse of 311 seconds at sea level, which requires a mass ratio of around 20 -- a 3x lighter rocket from a 33% more efficient engine. The statement "not a very good missile engine" needs qualification; it's not a very good long-range missile engine (which, to be fair, is an important question about Iranian engines if you're a German analyst) because of the low specific impulse. The Scud series the engine is derived from is a ~300km range tactical missile; for such a short flight the required ∆v is much lower; it's thus in a shallower part of the exponential curve and the penalty for poor specific impulse is much smaller. Supplemental answer: Scud missiles were powered by the S5.2/9D21 engine, burning inhibited red fuming nitric acid and kerosene. Thrust is 132 kN, Isp is "2285 Nskg" or ~233 seconds. Not the answer you're looking for? Browse other questions tagged engines launch-vehicle iran or ask your own question. What is/was the smallest orbital launch system, by total mass? Where can I read further on the specs the South Korean engine for next month's sub-orbital test? 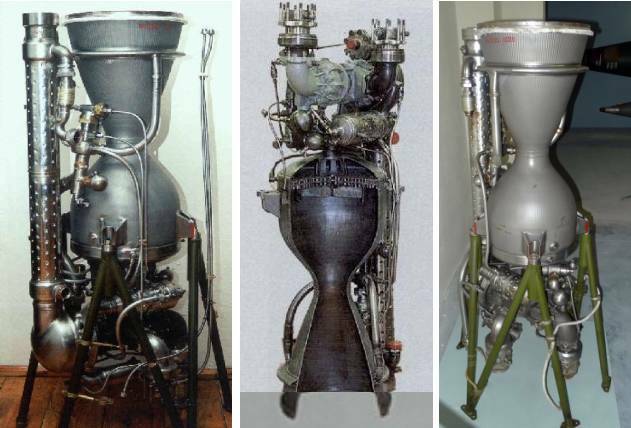 Has the use of any commercial launch vehicle's engines on an unrelated vehicle ever been seriously considered? Quantitative benefits of Atlas II's engine-dropping or 1.5 staging? Why is SpaceX not creating its own launch vehicle for small satellites?